Symetra Tour Championship - Who will earn LPGA Cards for 2016? A large part of the following is taken word for word from the Symetra Tour official website. Although I don't follow this tour quite as closely as I do the LPGA tournaments, I feel the importance of this event this week warrants major attention, as LPGA tour cards for 2016 will be earned at its completion. 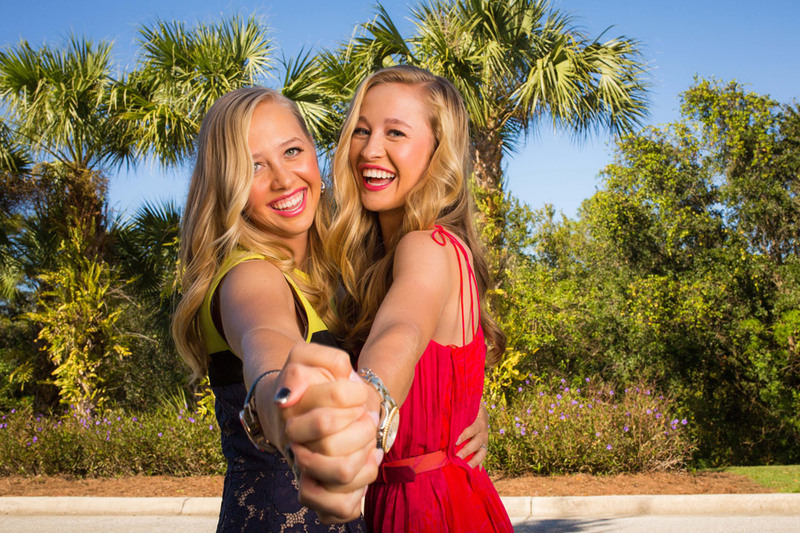 The Symetra Tour, Road to the LPGA, comes to Daytona Beach for the final event of this historic 2015 season. The Symetra Tour Championship presented by Embry-Riddle Aeronautical University starts on Thursday, October 15. With nine months of competition and 22 events in the books, ten players will earn coveted LPGA Tour cards after the final round of play on Sunday. The top 108 up-and-coming professionals from the United States and 17 countries around the globe will compete one final time for a $150,000 total tournament purse. The winner will earn $22,500 and could jump into the top 10 depending on their current standing on the money list. First-round play begins on Thursday, October 15 and the four round event concludes on Sunday, October 18. There will be a cut made to the top 70 and ties following second round play on Friday. This is the fifth 72-hole event of the season, which is up from just two a year ago. Play will begin at 8:00 a.m. all four days. A split tee start will be used on Thursday-Saturday and a single-tee start will be used on Sunday. The Jones course is a par-72 and will play 6,443 yards for the championship. mathematically earn a card at this point. The Volvik Race for the Card money list is tighter than it has ever been. The margin for error is so small this week that No. 11, Haruka Morita-WanyaoLu, could move into the top 10 with a 47th place finish. Further, No. 3 Lee Lopez is just $9,401 in front of Morita-WanyaoLu. For comparison, the gap between No. 3 and No. 11 heading into the Symetra Tour Championship last year was $18,694. The incredibly interesting race to watch is between No. 11 Morita-WanyaoLu ($51,594), No. 12 Brianna Do ($51,037) and No. 13 Lindy Duncan ($50,315). All three have had stellar years and are more than capable of squeezing into the top 10. Morita-WanyaoLu won the Symetra Classic and has five top 10’s, Do just finished solo second at the IOA Golf Classic on Sunday to post a sixth top 10 and Duncan has seven top 10’s. Nine of the top 10 on the money list are in the field. The only player not in the field is No. 1 Giulia Molinaro, who has already locked up a Tour card. Molinaro has a prior commitment, but is expected to be at the card ceremony on Sunday. The field also includes 21 LPGA Tour members. There always seems to be drama on Sunday of the Symetra Tour Championship. Every year since 2007, a player outside the top 10 has jumped into the top 10 with a strong finish at the season finale. It is also interesting to note that only one player each of the last seven years has gone from outside the top 10 to inside at the finale. The 2006 season was the last time nobody from outside the top 10 earned a card at the final tournament. The last year that multiple players moved into the top 10 after the last event was 2004 when Kris Tamulis and Malinda Johnson went from 16th to ninth and 11th to fifth respectively. Since 1999, six players that won the final event went on to earn a card - Candy Hannemann (‘03), Malinda Johnson (‘04), Vicky Hurst (‘08), Cindy LaCrosse (‘10), Sydnee Michaels (‘11) and Daniela Iacobelli (‘12). WHO’S GUARANTEED TO RECEIVE AN LPGA CARD: The 2015 season has been like non-other and the Symetra Tour Championship will be as wide open as the Tour has experienced. No. 1 Giulia Molinaro and No. 2 Annie Park are the only two players mathematically guaranteed to earn a Tour card come Sunday. Therefore, there are 21 players (excluding Molinaro and Park) vying for eight spots. Although No. 3 Lee Lopez (Whittier, Calif.) is not mathematically guaranteed a spot, a wild scenario would have to unfold. A clearer picture will present itself after the cut on Friday. PROJECTIONS FOR 11-23 ON TRYING TO EARN A CARD: Here is a look at what players 11-23 must do in order to have a chance to earn a card. The minimum finishes assume that the players in the top 10 don’t earn additional money. The projections also assume payouts for solo finishes. Keep in mind that No. 10 on the money list has currently earned $52,314. SYMETRA TOUR PLAYER OF THE YEAR STILL WIDE OPEN: The Symetra Tour Player of the Year goes to the player that earns the most money at seasons end. Since No. 1 Molinaro is not in the field, the door is open for anyone in the top 14 to overtake her with a win. No. 2 Annie Park needs to finish 18th to pass Molinaro. No. 3 Lee Lopez needs a third place finish or better to potentially pass Molinaro. GAELLE TRUET ROOKIE OF THE YEAR RACE: Annie Park is in the driver’s seat for the Gaelle Truet Rookie of the Year award. Park won her fourth career professional start at the Toyota Danielle Downey Classic and never looked back. She won the PHC Classic in Milwaukee two weeks later and earned the hat trick by winning the Prairie Band Casino & Resort Charity Classic in mid-September. The closest rookie to Park is Augusta James, who is ninth on the money list. She would need at least a solo second place finish to pass her. The last player to win Symetra Player of the Year and Gaelle Truet Rookie of the Year in the same season was Mina Harigae in 2009. 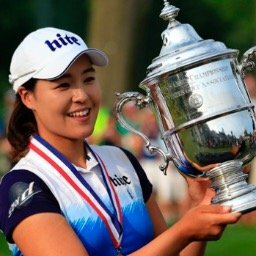 Harigae finished 81st on the LPGA Tour money list this season. She has six career top 10 finishes on the LPGA. In 2008, Vicky Hurst was the player of the year and the rookie of the year. Others to win both in the same year include: Song-Hee Kim (2006) and Lorena Ochoa (2002). It would be interesting to know Tony how much prize money is needed to continue to try for a LPGA card and where that top money earner at the moment sits in relation to the lowest earner on the LPGA. I mean Giulia Molinaro at #1 with $68,632.00 is a far cry from #1 on the LPGA Inbee Park at $2,344,266. Is there the same disparity in the men's game? I think Tony's article above gives a pretty clear indication of how much earnings are needed to earn an LPGA tour card. The lowest earning member on the LPGA would be Mallory Blackwelder. 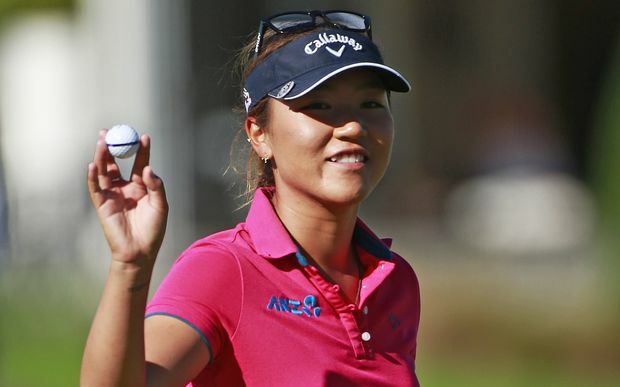 At #171 on the LPGA money list, she earned $2,366.00 in 18 events. She had 17 MC's and a 72nd place finish. Ms. Molinaro's $68,632.00 earnings from the Symetra Tour would place her at #101 on the LPGA Tour's money list between Sadena Parks and Belen Mozo. 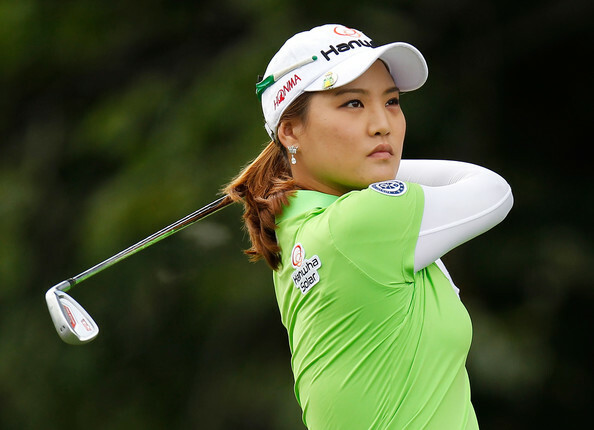 Her earnings were 2.9% of what Inbee Park, the LPGA Tour's leading money winner, took home. The range for the top-ten money winners for the Web.Com Tour goes from $568K to $258K. The range for the top-ten money winners for the PGA Tour goes from $12.030M to $4.521M. Mr. Patton Kizzire x $567,865.00 would place him at #153 on the PGA Tour's money list between Luke Guthrie and Jeff Overton. His earnings were 4.7% of what Jordan Spieth, the PGA Tour's leading money winner, took home. Thanks sports medic that puts it into some sort of perspective. My guess is for most players sponsorship for the Symetra Tour would be vital to be able to continue to play the tour for a card. This probably goes for anyone outside the top 100 on the LPGA as well. I thought I read Stacy Lewis mention about $100K per season to cover her costs. With that in mind you would think many on the Symetra tour would be struggling to survive then it gets no easier once you have a card unless your super talented but if that was the case then you would have earned more on the Symetra Tour or the LPGA with invites.